Combine cooked chicken strips, lettuce, cubed cherimoya and avocado in a large bowl; mix well. Spoon onto a platter lined with lettuce leaves and drizzle with the dressing. Combine oil, lime juice, corn syrup, onion, curry powder and salt in a jar with a tight fitting lid. Shake vigorously. Be sure to remove and discard all seeds and outer skin from the cherimoya. 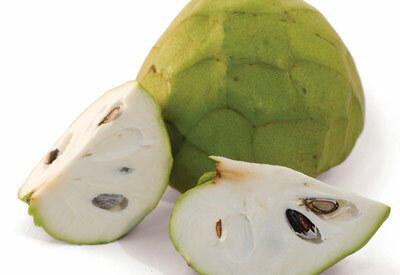 The seeds are poisonous if cracked or crushed and the cherimoya skin is toxic if ingested.